Are you all ready for a fun filled holiday weekend? Do you have a BBQ planned? 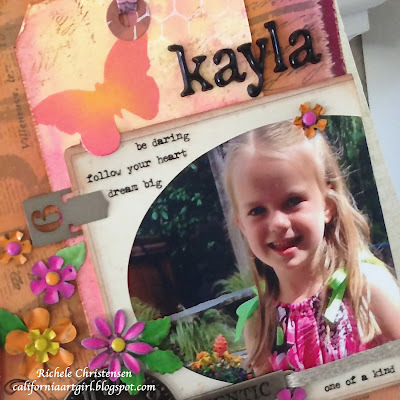 I'm sharing how to make this fun "Celebration" banner over on the Ranger blog featuring #10 manilla tags, the New Distress Glitter, Distress Core'dinations cardstock, and Ink Refresher. Click here for the full instructions! 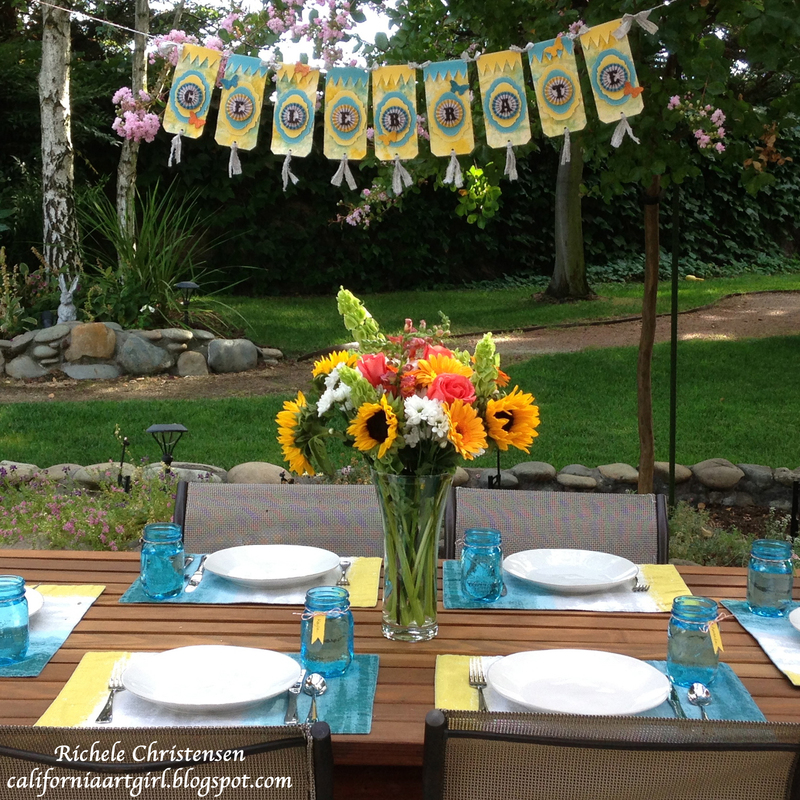 What a party table, perfect for my backyard BBQ! I love these fun blue mason jars that I found at Target. Die cut a few Ribbon Flags with the New Tim Holtz decorative strip die. 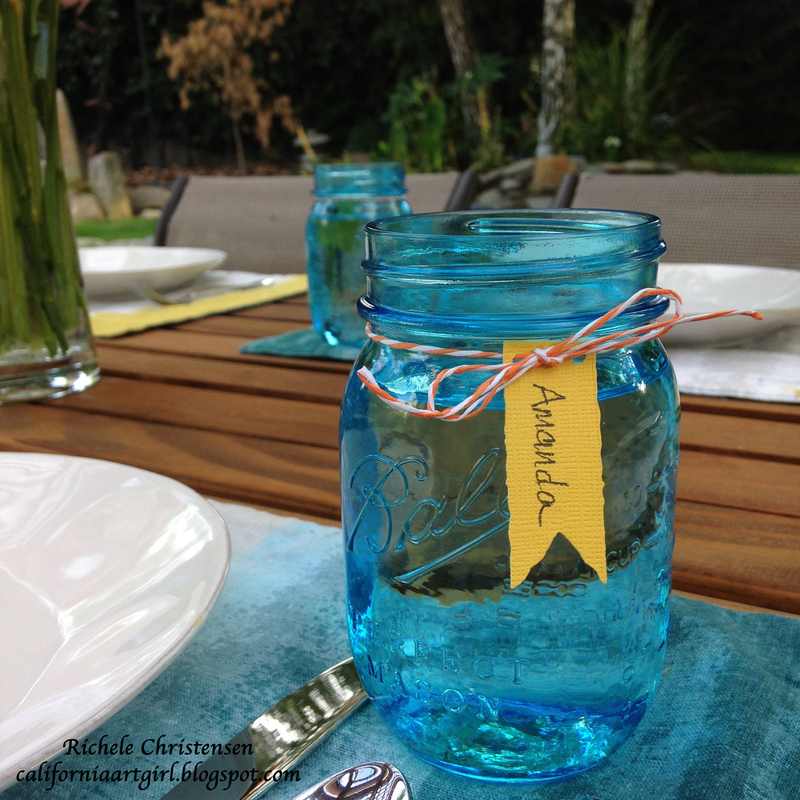 Hand write the names of your guest and tie around the top of the jar with Stripped Paper Twine. Napkin decorations are always a nice touch. Die cut the Mini Baroque die for the foundation using Distress Core'dinations cardstock. Sand the cardstock to reveal the core, it's like magic. 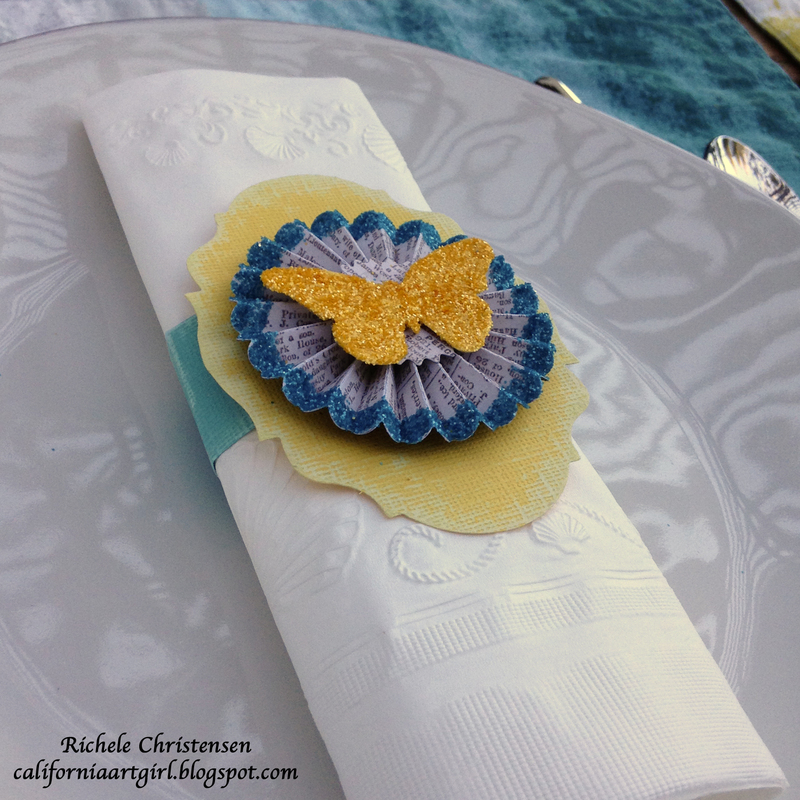 Make a Paper Rosette and add Distress Glitter to the edge. Just paint the edge with Glue 'n seal and pour the glitter on the edge. Shake off excess. 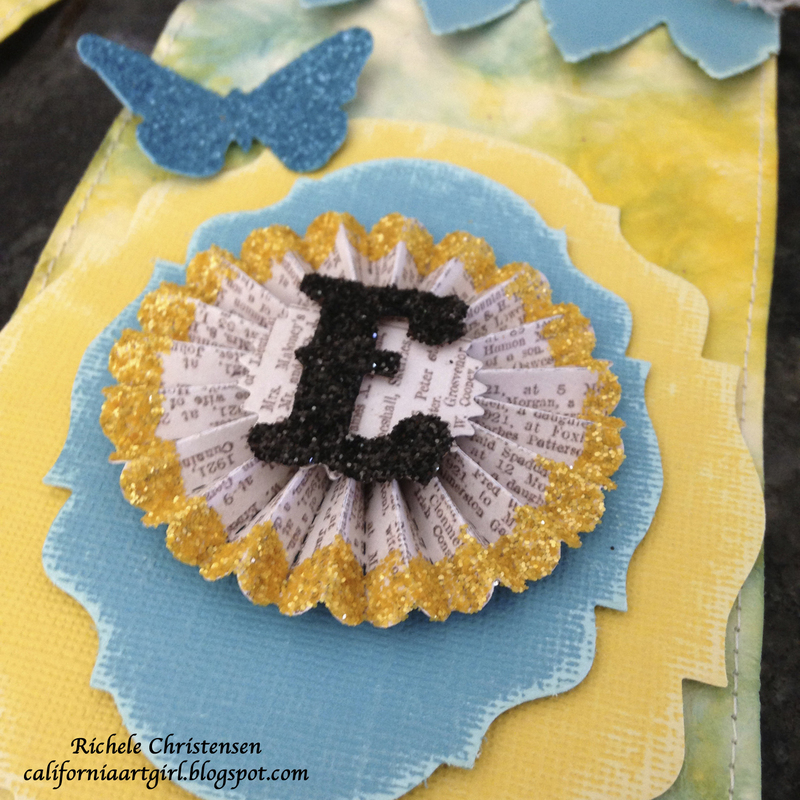 I also added Distress Glitter to the Mini Butterfly die cut. 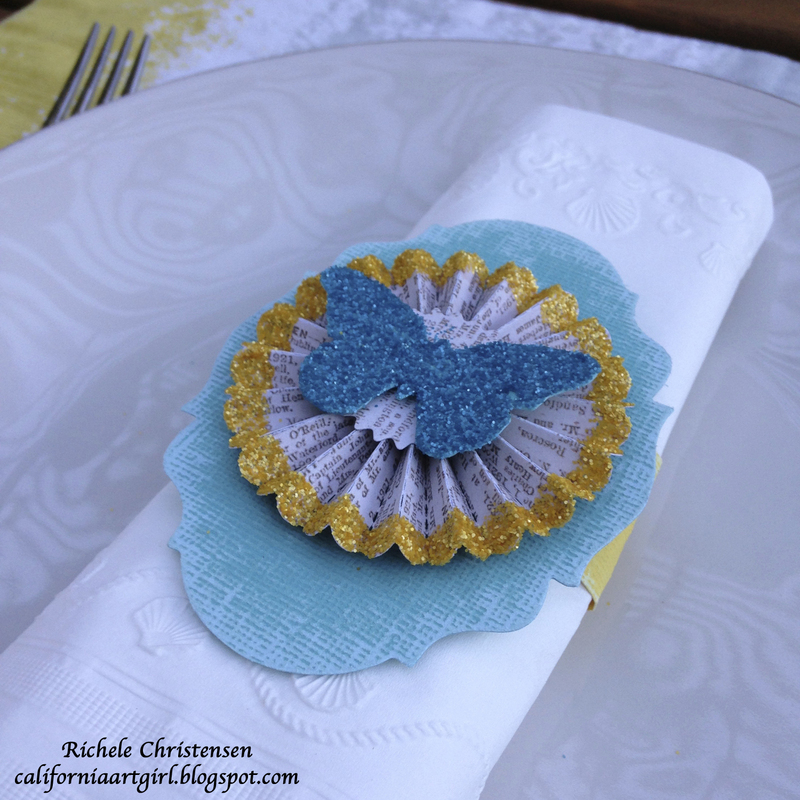 I alternated colors on my place settings. Don't forget to head over to the Ranger blog for the full instructions on how to make this beautiful banner. I hope you all have a fabulous weekend doing what you love! Maybe spending some time creating! Hi Bloggers! I have a project to share today! YAY! Now that summer is coming to a close, the kids are headed back to school, we are back from vacations, etc... Now is the time to make layouts of some of those fun events that happened over the summer. This is my Granddaughter Kayla! The photo was taken at her 6th birthday! Oh my how time flies! The focus of todays project is Distress Paint. If you haven't had a chance to use them I highly recommend giving them a try. 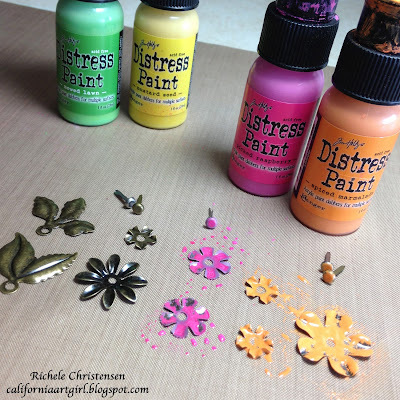 The Distress Paints are very fluid and easy to use on almost any surface. To use the paint always shake them first. There is a mixing ball that will help to mix the paint well. Pull the lid straight off (do not turn) depress the valve onto your craft sheet and gentle squeeze the bottle to dispense the paint. Tip: No need to squeeze the bottle hard as this will create a huge mess! I tore a square of Eclectic Elements fabric to measure 8" x 8". To color the fabric place the square on a scrap piece of chip board. Add a generous amount of paint to the top edge. Tilt the piece up and spray with water to make the paint run down the fabric. You can go back and add paint if you need to and spray with water again. Dry with a heat tool. Cut a piece of pink Kraft'core 8 1/2" x 8 1/2". 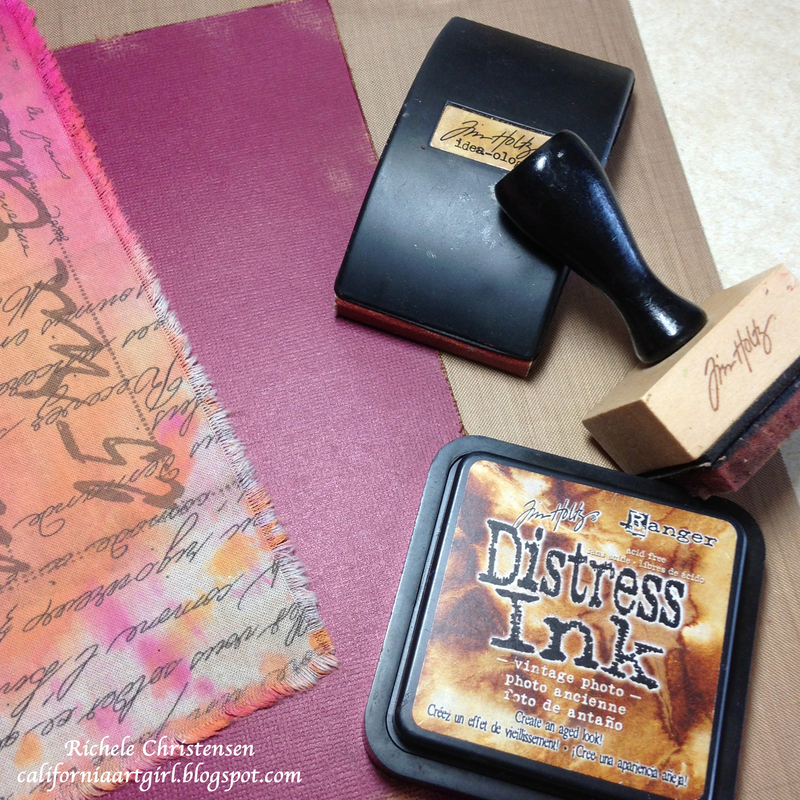 Sand and distress the edges with Vintage Photo Distress Ink on an ink blending tool. 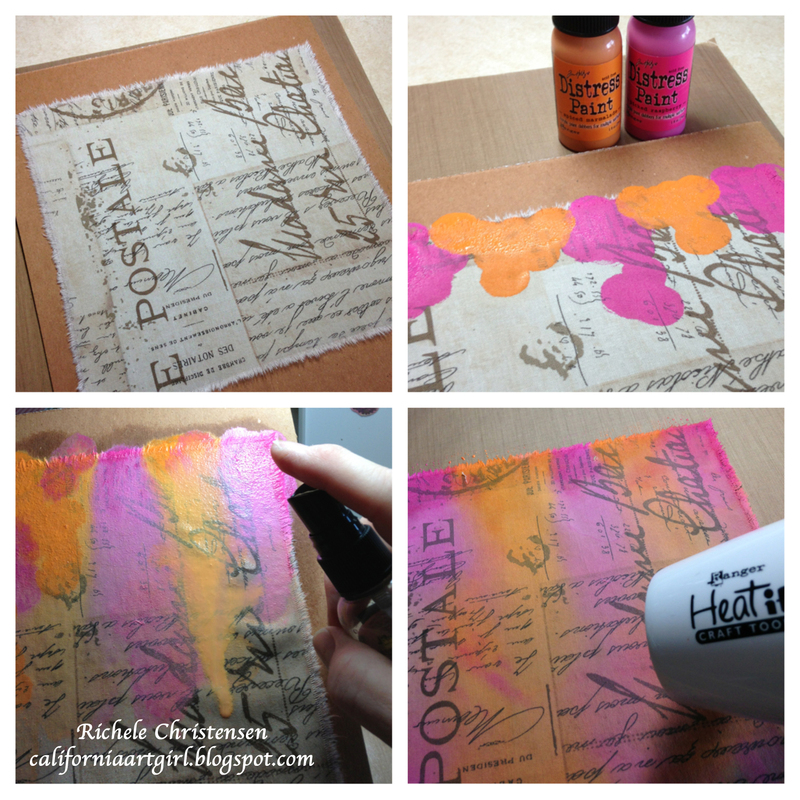 Apply a thin coat of matte medium on the kraft'core then press the fabric onto the cardstock. Let dry. Paint the foliage flowers and let dry or you can use a heat tool to dry it faster but remember the metal will get very hot. 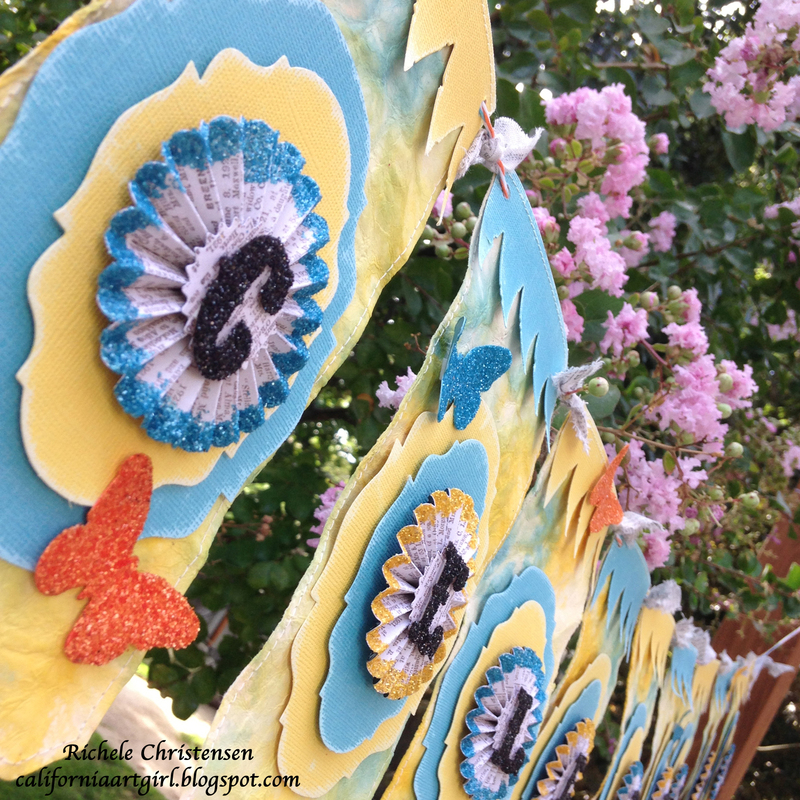 Don't forget to paint some long fasteners for the centers of the flowers too! Color a couple pieces of Tissue Tape with paint, spritz with water to help the colors blend together and dry with a heat tool. Adhere the two pieces back to back to create a ribbon for the tag. Next up I laid everything out on my fabric to get an idea where to put things. Remnant Rubs are fun to use on many surfaces. Fabric, paper, canvas, metal and more. My photo of Kayla will go in a Cabinet Card. Don't forget to sand and ink the edges of the Cabinet Card. 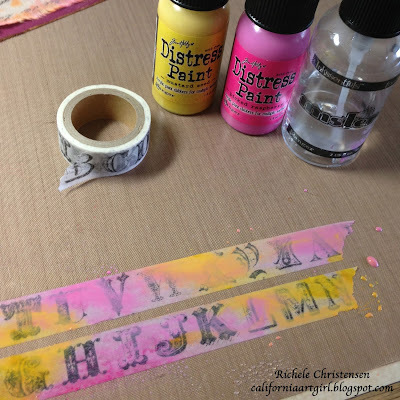 I also use the wrinkle free distress technique with the distress paint to color my tag. 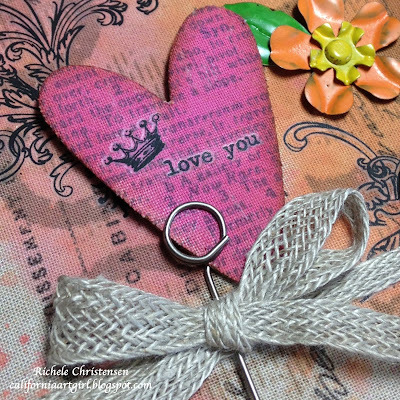 Attach a small piece of fabric to a piece of grunge board and then die cut the heart with the Movers and Shapers Mini Heart die. 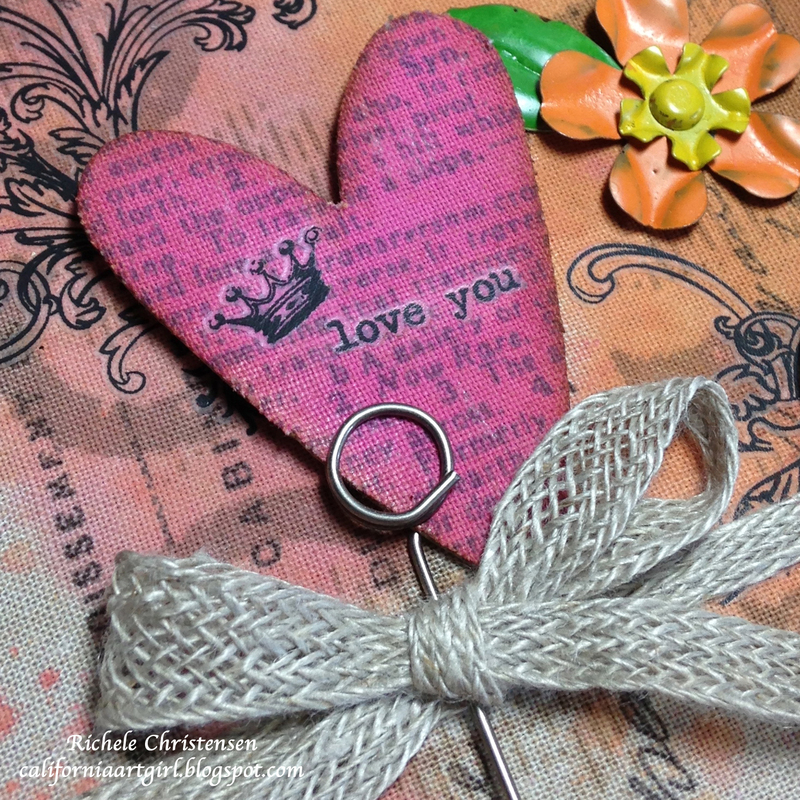 Add Remnant Rubs to the heart and ink the edges with Vintage Photo Distress Ink on an ink blending tool. 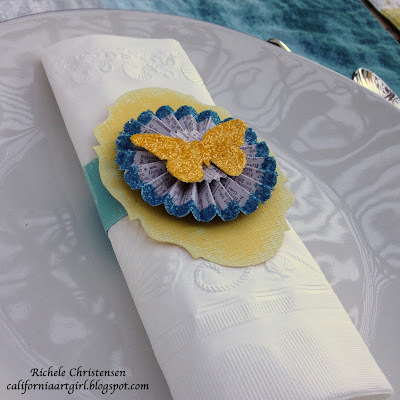 The new Linen ribbon was tied around the layout with a bow. Attach the heart with a memo pin through the bow. I added the #6 Stencil Mark for her age, a clock face, the Authentic word band, and all my flowers. I chose some Remnant Rub phrases that reminded me of Kayla and rubbed them onto the Cabinet Card. 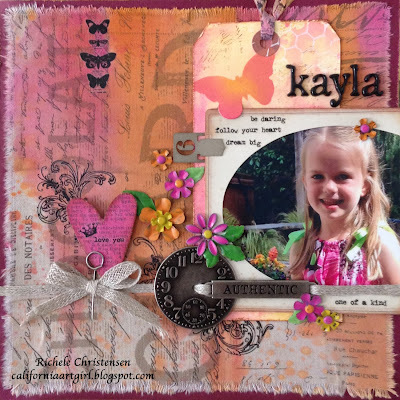 The letters "Kayla" are Newsprint Alpha Parts covered with Glossy Accents to make them shine. 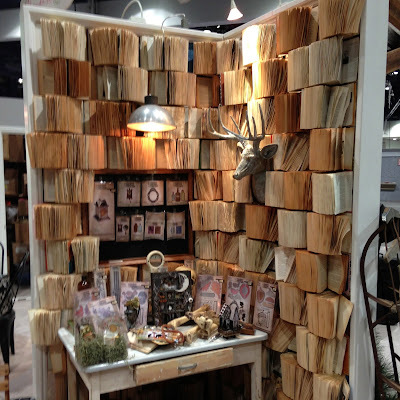 I love all the different textures in the layout. It's amazing how one product "Distress Paints" can work on so many different surfaces. Love that!! Ask for Eclectic Elements Fabric at your local craft stores, it will be available in yardage, 12' x 12" and 6" x 6" packs very soon. 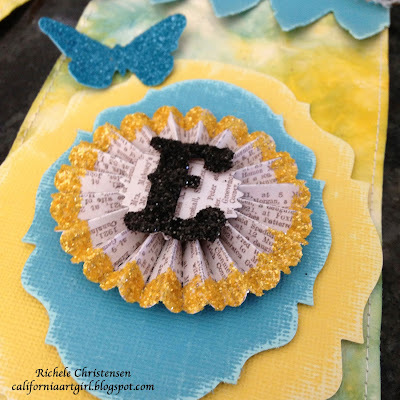 Perfect for crafting! Hi bloggers! Thank you so much for all the comments I've loved reading them ALL! You guys are the best followers ever. I wish you could all win. ,Wow, congrats, you don't need me to tell you how lucky you are to be joining the greatest big family there is.....stampers anonymous family, ranger family, tim, mario, wendy, dyan and others.............sizzix family............. a well deserved change for you, for all your creativity and all your hard work.. Please email me your contact information to richele@timholtz.com!! Have a great weekend! I hope you spend some time being creative! Thank you so much for all the comments on my exciting news! It truly is a dream come true! 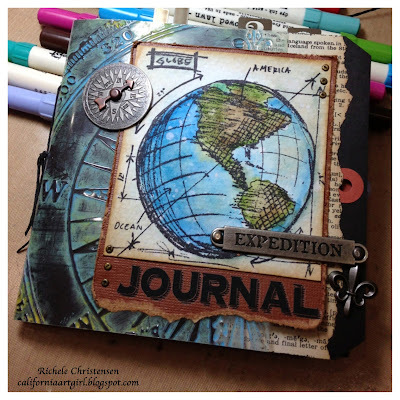 Today I'm over on the Inspiration Emporium blog to share this fun Travel Journal. 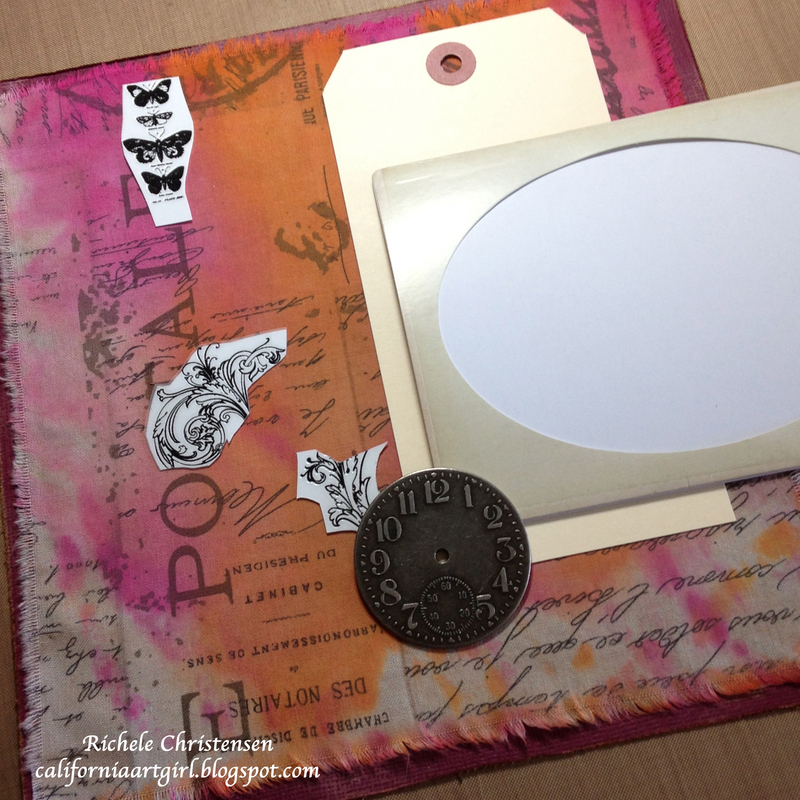 My project feature lots of Tim goodness like the new Distress Markers, stamps, a little Idea-ology and more. Head over to there blog for the full instruction. Don't forget to leave a comment on Monday's post for a chance to win a huge prize package with some of my favorite Tim Holtz products. You must comment by Friday, August 9th at midnight PST. Thanks so much for all the nice comments on my CHA posts. Today I have some very exciting news to share with you! I'm such a lucky girl!! 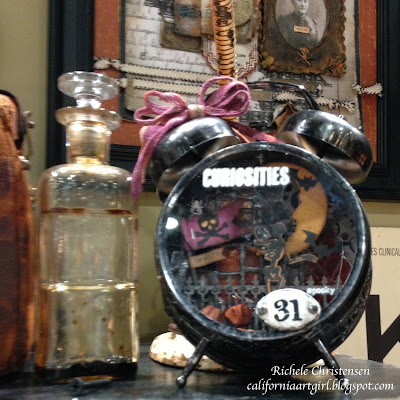 I'm so honored to be joining the Tim Holtz creative team! Thank you Tim, Mario and Paula for the warm welcome!! I started using Tim Holtz products when the original Distress Ink pads were released. Yes, those 6 glorious brown and neutral ink pads that started it all. My love has just grown and I would never have guessed that my journey would lead me here. But I'm so happy it has. I'm beyond excited! To help celebrate, I have a prize package to give away! Here are a few of my favorite things for one lucky winner! Just leave a comment by Friday PST at midnight for a chance to win and good luck! 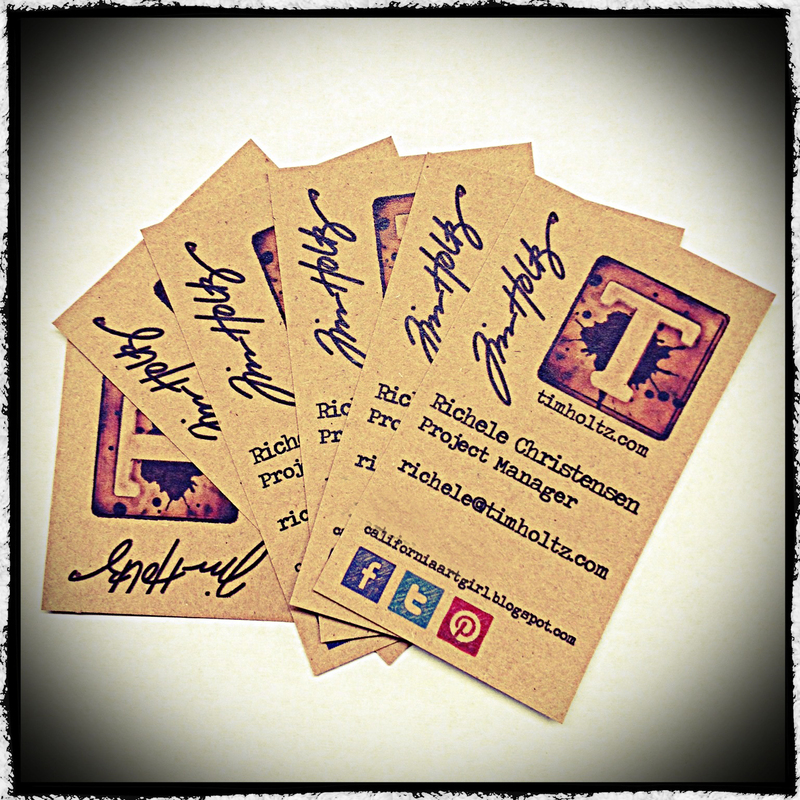 I will announce the winner Saturday, August 10th, so be sure to check back! Hi bloggers! Hope your weekend is going great. This post focuses on the big projects I made for CHA. In previous years I've always made cards for the show first and then I always ran out of time to make the FUN stuff, configurations. I love Configurations! So this year I started with the big stuff. 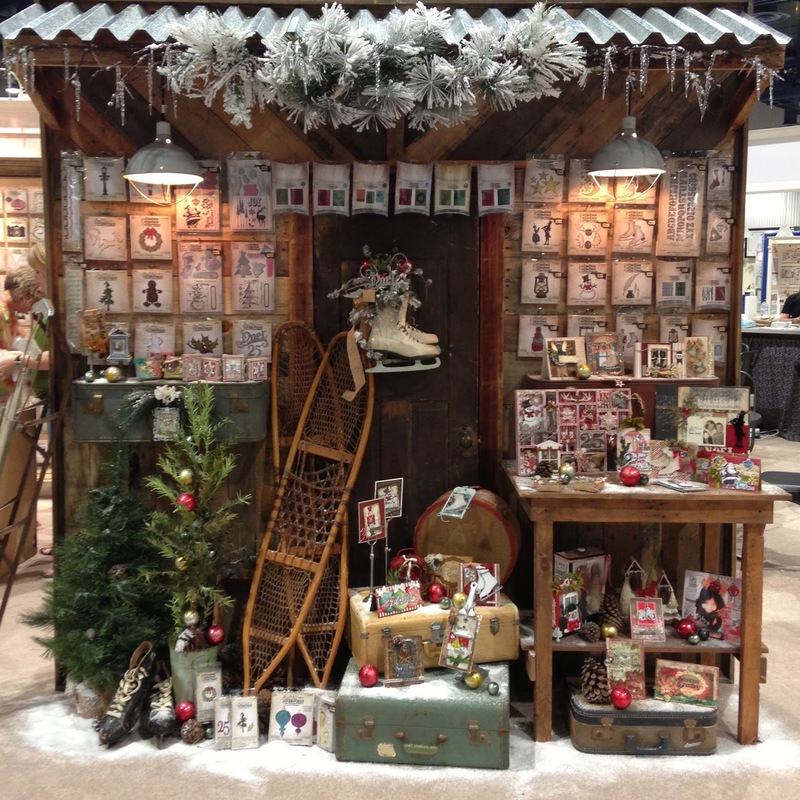 But first a few of my favorite vignettes from the Sizzix booth. How awesome is this display of books. It was so cool! And this winter scene. Makes you want to go ice skating or snow shoeing. The only thing missing was a snow ball fight. My Apothecary Configuration. This was the first project I created for CHA. 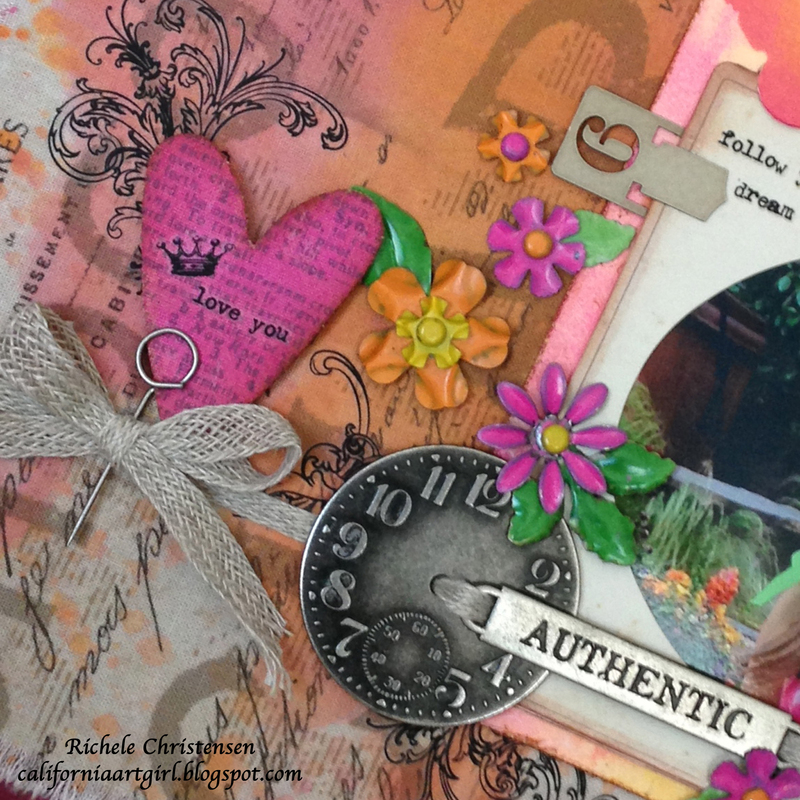 I was so inspired that I couldn't create fast enough! 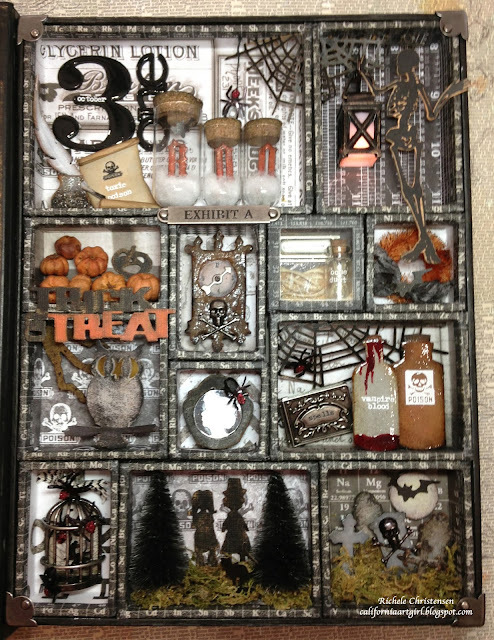 I love the new Apothecary line from Tim Holtz and Halloween happens to be one of my favorite holidays. I hand cut the haunted house from the front of a configuration book. Here's the inside with vampire blood, bones and spiders oh my. 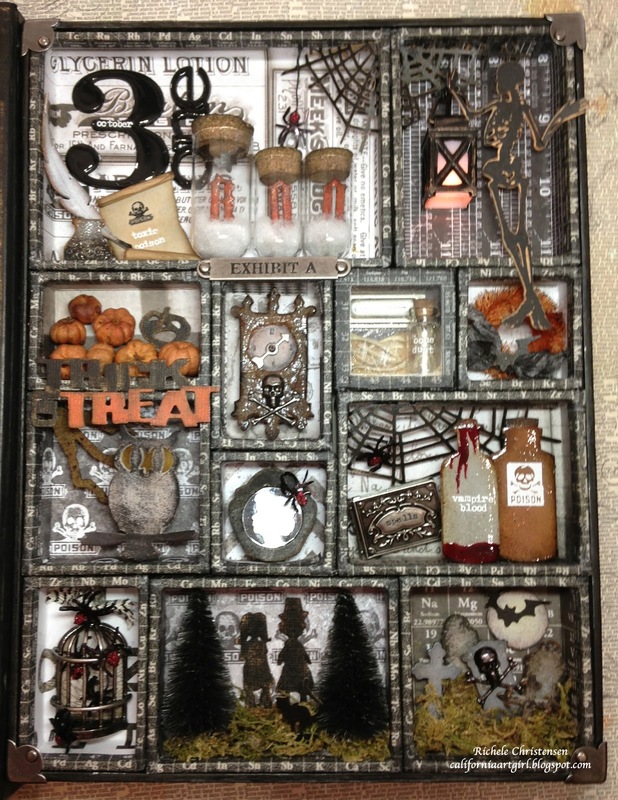 Perfect to display at Halloween. Just look at all the fun new Sizzix dies in the Alterations line. 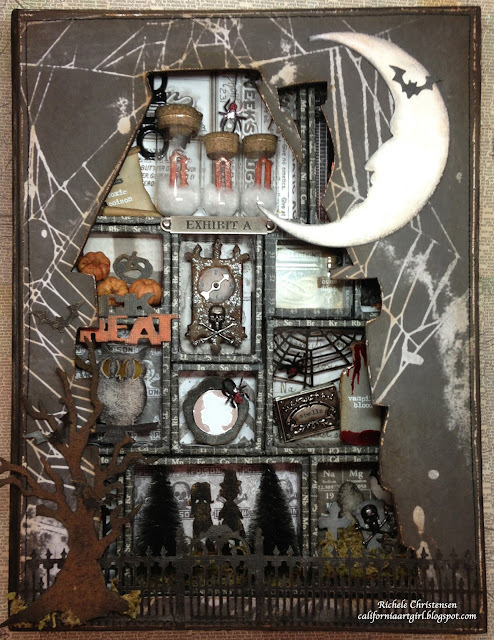 An altered Assemblage clock. Packed with lots of spooky goodness. Now for the Merriment line. 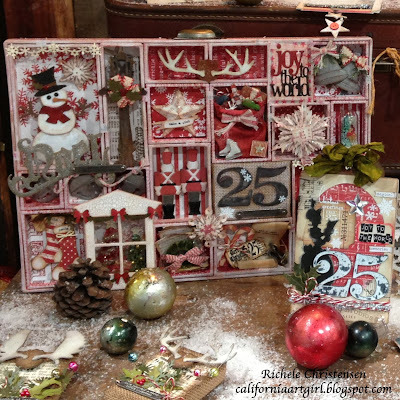 Love the red and white! The tray has many of the new holiday Sizzix Alterations dies. Love the snowman! This configurations hangs on the wall! 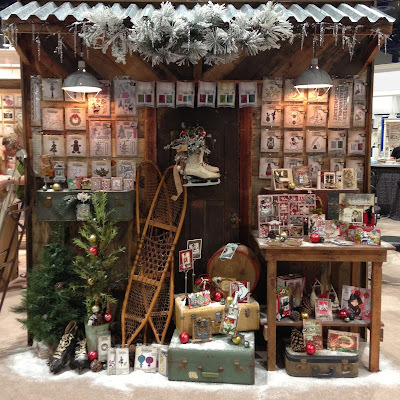 It has a little shaker box complete with snow amongst the tress. Can't wait to display this at Christmas time. So many amazing products so little time! I'll be back tomorrow with some blog prizes.